As a parent, you know that baby's skin needs extra special care. But did you know that after every bath, baby's skin can lose moisture up to 5 times faster than yours? The best lotion for babies should give the gentle, nourishing care their delicate skin needs. 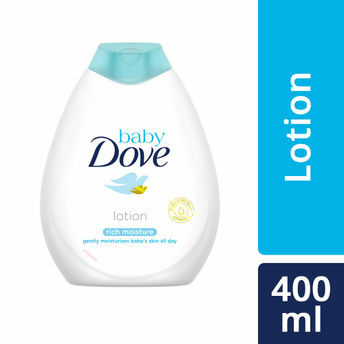 Bathing can lead to skin dryness, so use Baby Dove Rich Moisture Baby Lotion to help replenish the essential moisture in your baby's skin for up to 24 hours. It moisturises and replenishes your baby's precious skin barrier. From the very first use, this lotion for baby soothes and hydrates to provide moisture for your baby's skin " and it's dermatologically and pediatrically tested so you can feel safe in the knowledge that your baby's skin is getting the extra special care it deserves. Plus, the gentle, hypoallergenic and pH neutral formula of this Baby Dove Nourishing Baby Lotion is suitable to use even on your new-born. Baby Dove Rich Moisture Nourishing lotion is created with no parabens, no dyes and no phthalates. 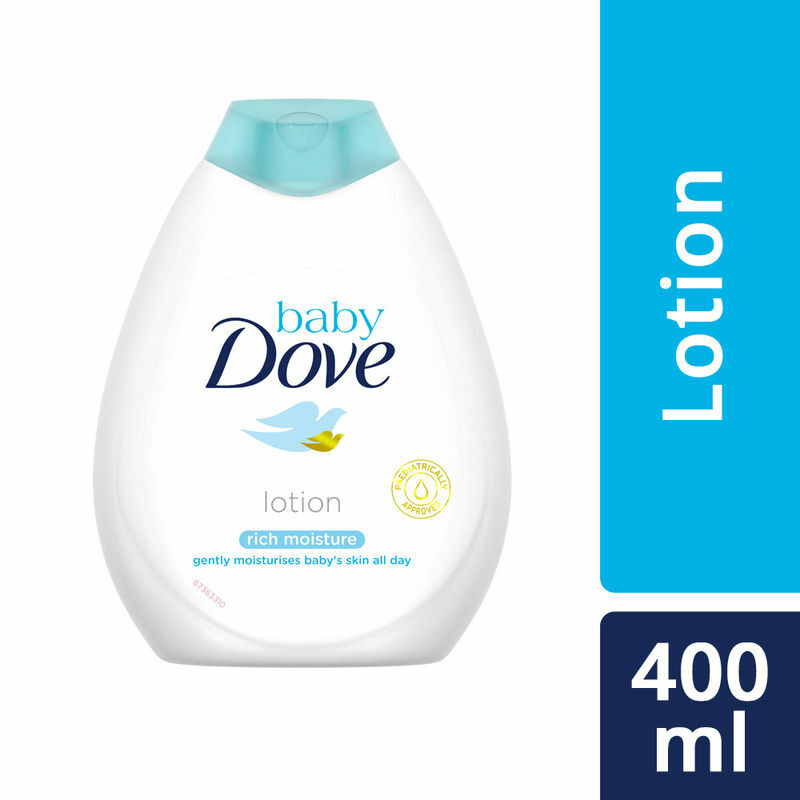 Use Baby Dove Rich Moisture Baby Lotion after bath time to moisturize your little one's delicate skin while leaving it super soft, delicately scented and ready for snuggles. Buy Baby Now!